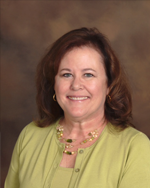 Carol Lewis is a Board Certified Family Nurse Practitioner. Carol graduated from the University of South Florida with a Master’s of Science Degree in Nursing. Carol has over 14 years experience in Internal Medicine. She previously worked locally as a Registered Nurse for over 20 years. Carol provides excellent personalized, quality medical care to her patients. She provides primary care services including physicals, hypertension, diabetes, cholesterol management, and women’s health, as well as same day urgent care visits. Carol and her husband Bert have 3 grown children. In their free time they enjoy camping and traveling, and visiting their children. Carol enjoys community service and is a current member of Entre Nous, a Manatee county service club.